My wife and I were in town for an event. We chose the Alto for it's proximity so that we could walk to the places we wanted to go. The staff were very friendly, helpful, and attentive. The breakfast was excellent. The room was very clean and tidy, as was the rest of the premises. The bed was comfortable. It had everything I would ask for in a motel. If we attend another event in the Melbourne CBD, I will stay there again. A pleasure to stay at your hotel. No issues at all. A fabulous spot to stay. the staff were great, rooms so clean. Even though my nose stud got swept away by the cleaners I have no doubt that every measure was taken to find it. We will most definitely be staying next time we are over. Thankyou all so much for making our stay in Melbourne so great. Very happy. Love the commitment to more sustainable tourism. Liked the availability of the lounge area, the book swap, the complimentary drinks in the early evening. An easy relaxing stay. Made to feel welcomed and staff very friendly. Very comfortable, pleasant surroundings and staff. No complaints,overall experience excellent, will definitely stay again. Vary quiet and comfortable rooms. Great location, extremely helpful and pleasant staff, lovely clean rooms and wonderfully comfortable bed! Fantastic location staff and facilities. I will definitely be back. We both enjoy our stays and always use this hotel when visiting Melbourne. Very good. Close to city and transport. I keep coming back - what more can I say! Stayed 2 nights at Alto Hotel. We got the 2 Bedroom Standard apartment as part of Alto’s 20% winter promotion. We had a good and comfortable stay. Pillows and bed was just right that allowed a light sleeper like me to enjoy a good night’s rest. Front desk staff were approachable and kind, volunteering to provide us with umbrellas as it looked ready to pour. They allowed us to check in earlier than expected as we had just came in from an early morning flight. Really appreciated that. Basically, they have thought of everything. This includes an umbrella in the wardrobe, 24/7 access to guest lounge where you can help yourself to complimentary coffee/tea/hot chocolates, apples and Lollies. Plus they have good recommendations for restaurants within the vicinity. Thanks Alto for the wonderful stay! The rooms are quiet and very clean, the staff are incredibly professional and genuinely caring, location is superb, with train and tram within the block, rooms are very comfortable, beutiful beds with a range of pillows and very reasonably priced for the level of quality. Will and have, return again and again! Alto Hotel was the perfect match for my travel needs - overnight with an early morning train to catch from Southern Cross. A light breakfast was brought to my room the night before to accommodate my early start. Comfortable and warm. A short walk to shopping or handy tram outside the door. Really appreciated the free hot drinks after coming in from the cold or a long day shopping! All staff were exceptional - well done! We stayed the night before an early flight from Tullamarine. The location was ideal to travel to Southern Cross Station at 630am. It was very pleasant. No issues, great location, overall I really enjoyed my stay there. The staff were excellent, friendly and helpful. A real call-out as we fell ill with sever food poisoning coming back fro Singapore and you couldn't have been more understanding or helpful including late cleaning of a room we had spent too much time in! A fantastic stay - staff very helpful, friendly and accommodating. Great location, great morning coffees and just a nice atmosphere - very homely for a hotel. the two story 2 bedroom (three bed) apartment was perfect for our four day stay. The rooms were clean and the staff extremely helpful. The game room was a fun and delicious way to end the day. The Alto is close to the train station and tram and many sites, and remarkably quiet for its location. We are happy to recommend the Alto to others and would certainly stay there again. Thank you for making our vacation so enjoyable. I enjoyed my stay at the motel. Staff were helpful and happily filled requests such as having soy milk in room. Location near Southern Cross Station and tram stop makes it very easy to get around. Room was toasty warm and shower excellent. I actually stayed a lot longer than the above date as I was with work but from the momentum I walked into the hotel, the service I received was absolutely perfect! Beautiful hotel and perfect location!!!! I will definitely stay again! Throughly enjoyed my stay in Alto. Staff were pleasant and attention to details was amazing. Some of the conveniences that I enjoyed were: (1) the microwave, full set of dinnerware and washing tools in room and (2) complimentary hot drinks dispenser, lollies and apples in lounge. Kudos to Gary (the manager) who was very helpful and lent me a electrical outlet adapter for the full duration of my stay, since I forgot to pack mine. As always, excellent. It is very much appreciated that you let guests enjoy the dining room when waiting to catch a SkyBus, even when we have checked out. I found the whole experience very good and all of the staff were so professional. In particular the General Manager was so attentive towards us during the happy hour on Friday. A great place to stay with wonderful staff. This is a great place to stay, I've stayed many times before with my daughter. 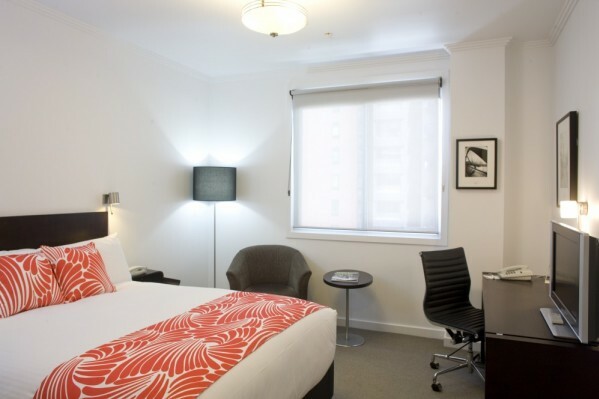 We love being able to get out at Southern cross and just go up the road for a welcoming and very pleasant stay. The only thing I'd say is that housekeeping still need a bit of help. It's not bad but could just be a little bit better.